Harley-Davidson Center is located in Richmond, IN. Shop our large online inventory. Thanks for visiting our web site! Stop in our dealership to view the latest motorcycles and accessories and see what is new in seasonal weather riding apparel. Harley-Davidson Center has a great selection of t-shirts, jackets and chaps to get you ready for the any season. Our qualified service technicians are ready to do service, repairs and updates to Harley-Davidson® motorcycles from knuckleheads to the current models. 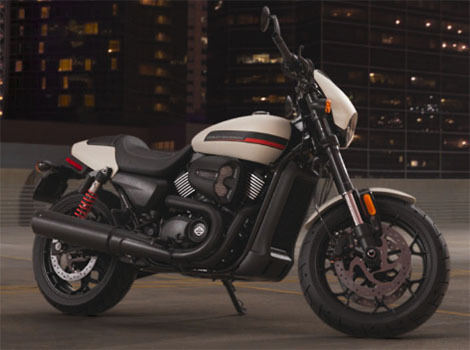 If you have a motorcycle that needs to have the engine updated or you have a cycle that you want to make some cosmetic changes to, we are here to help you with technicians knowledgeable to do the repairs and install the accessories. Our parts and accessory staff will help you customize your motorcycle so that when spring arrives you will have a "new" ride. Sales Manager, Greg Brooks will help get you on the New or Pre-Owned Bike of your Dreams!!. Parts Manager Ken Millhouse, Service, Gene Davis and Greg Shade are all available to help you with your needs. Brittany in Motorclothes® will assist you with any clothing needs for cold weather, wet weather or hot weather riding or just casual Harley-Davidson® gear for everyday use. Make Harley-Davidson Center your one stop gift giving headquarters for all things Harley-Davidson - for the motorcycle, home and friends and family. Gift wrapping is available.